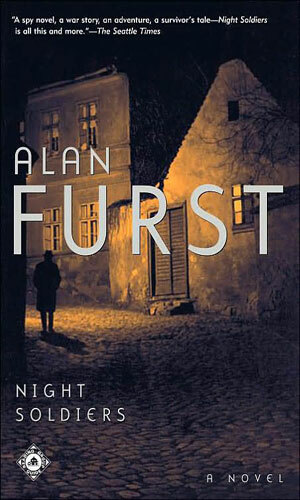 The Night Soldiers are spies of World War Two. They are not a group of agents working together but an amalgram of the many men and women who fought, killed, sometimes died in the years leading up to and through the great war this world has ever seen. Nationalities will vary greatly among the stars of these books. 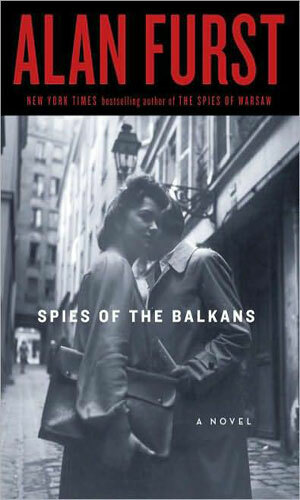 Soviet agents are plentiful and are often the good guys as they work to defeat the Nazis. British agents mingle with French resistance fighters often. Scandanavia and Baltic nations supply their own operatives as each country struggles for any branch they might grasp in the tidal wave of destruction that constantly grows throughout the entire continent. This is not a series like all the others in this collection. It is instead a collection of its own, individual books dealing with various agents from various countries, stand-alone books that do not need any particular order to be read. There is no chronology to be followed for the books are in no particular order. That is not to say that these books are totally unconnected to each other for there are many threads which loosely tie them together. First is the conflict they depict, WWII. Second is the region in which they mainly occur, Europe. Third is the fact that many, many characters are found in different books, usually in varying degrees of importance. Fourth are the locations that many of the characters frequent, not just in country or city but actual places like the Brasserie Heiniger, as an example, where people show up for many different reasons in different books. A person might be the main protagonist in one book but a very minor character in another. Or he or she might be mentioned by someone in one book and by someone else in a different one. Reading one character mention a place for a rendezvous can often make the reader nod and think of how someone else had a meeting there the year before or that is the same restaurant so-and-so is going to be shot near in a few months. These kinds of references help greatly to make the books, separate as they are, feel very much connected. The one absolute connection they all have is that they are incredibly realistic, compelling thrillers. When fascists killed his brother, Bulgaian Khristo Stoianev goes to work for the Soviet NKVD. 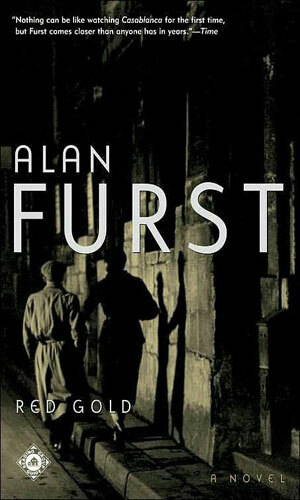 While serving in Spain for the Soviets, he learns he is about to become a victim of a new Stalin purge, forcing him to find another way to fight his enemy, the Nazis. 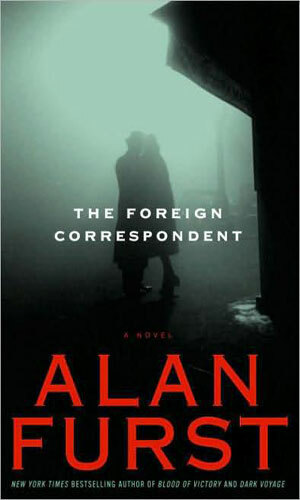 In 1937, André Szara is a foreign correspondent for Pravda woking in western Europe. He is also a full time spy for the NKVD and he uses one vocation to help the other in his rise up the ranks. 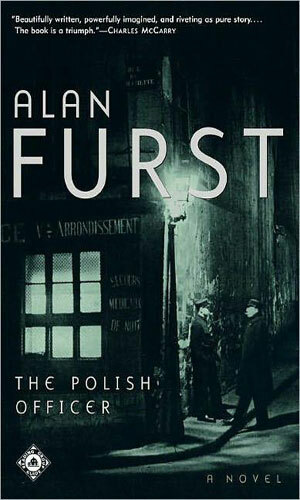 German forces are taking control of Warsaw in the early autumn of 1939. Polish army officer Alexander de Milja is picked by his nation's intelligence service to hide a shipment of gold from the invaders. As German forces moved towards Russia, Stalin orders his operatives behind enemy lines to strike anywhere and everywhere against the Germans. 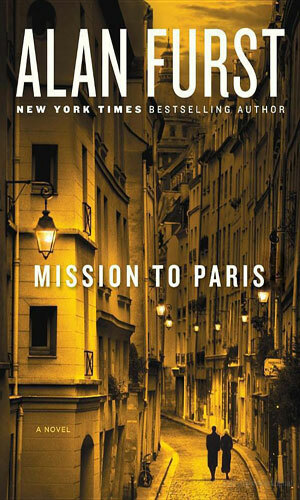 Film producer Jean Casson accepts a mission to smuggle guns to the French Communist Party to aid in the Resistance. 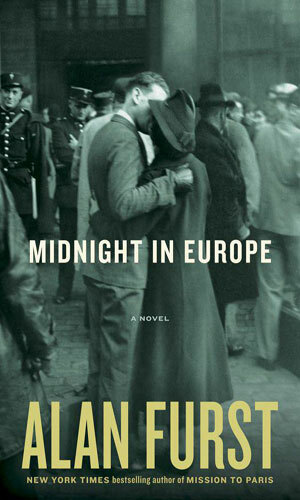 In the fall of 1938, Nicholas Morath, working in Paris, decides to help his countrymen fight the rising fascist movement in his native Hungary. What starts as a sideline interest quickly turns into a full-time occupation. Russian émigré and journalist I. A. Serebin, living in Istanbul, is asked by British Intelligence to assist them. It is autumn 1940 and the Germans are importing a lot of oil from Romania. Serebin's job is to sabotage the barges and boats hauling it. The Intelligence branch of the British Navy has taken possession of a Dutch freighter to sneak into Sweden equipment for a covert mission. 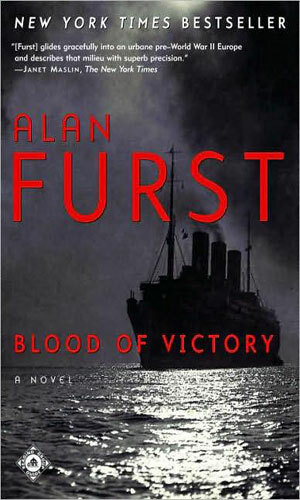 The ship is in Lisbon in May of 1941 as she begins the dangerous voyage, putting the lives of everyone on board in jeopardy. In 1938, fleeing Mussolini's fascist government, hundreds of Italian writers, artists, and journalists have fled to Paris. There, they begin to fight back against the regime the only way they know how - through the media. 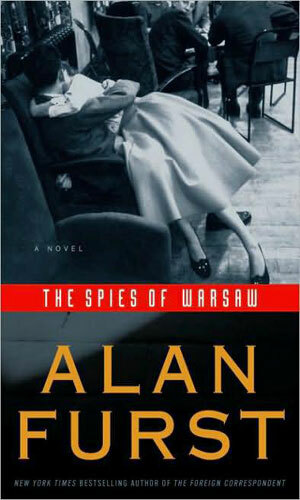 As war is just around the corner and everyone knows it, Colonel Mercier, the French military attaché in Warsaw is deep in the dangerous work of espionage while embroiled in a steamy love affair with a beautiful woman. In the port of Salonika in Greece in 1940, Costa Zannis is a veteran policeman who finds the activities of spies is ramping up. As he tries to keep control of things, he finds he is caught up in the intrigue as much as anyone. 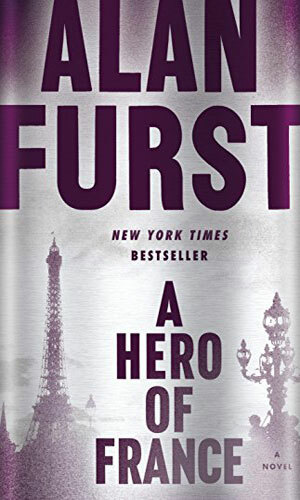 The Germans strike out against a Hollywood actor, Fredric Stahl, in the summer of 1938 as he visits Paris to make a movie. Stahl, however, has his own plans of action as he is informally working with American spies to keep track of German treatment of Jews. 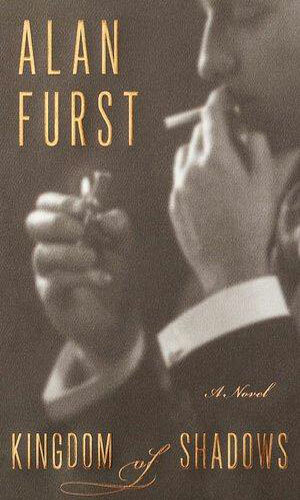 Cristian Ferrar is a Spanish emigré working as a lawyer in Paris of 1938. As the Spanish Civil War rages, he find the pressure to assist the Republic by supplying guns is tremendous. In 1941, Mathieu is a leader of a small cell in the French Resistance, fighting behind the lines to disrupt the invaders. Now from Berlin comes forces determined to smash him and his group. 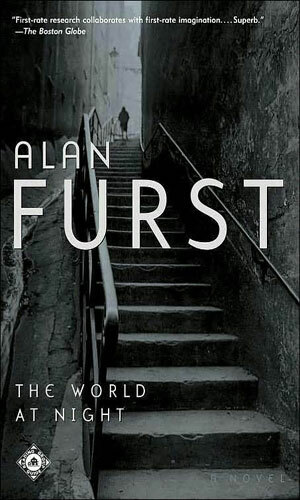 Alan Furst is a genius. That pretty much says it all, though of course I will keep typing. His prose is superb. He can make you feel the dampness of a post-rain cobblestoned street as well as any writer I have read. When a character hears a footstep in the distance, you hear it as well and it gives you the same trepidation it does the character. Even better, when a character stands in a doorway on a foggy night waiting, you feel the same nervousness he does and usually really feel the same risen hair on the back of your neck. The characters are always realistic. They are often not so nice people but it is a very not-so-nice business they are in so you may not like them much. You will not, hwoever, forget them very quickly. The research is, I believe, top-notch. I was not there then and certainly was not doing what they are doing but it sure feels right. There is no need to suspend disbelief in this series. It is all to real feeling to ask for it. Lastly, the plots are terrific. They are never over the top, save the world in one swift blow. Real life does not work that way and it does not happen in the pages of these books. What happens are reasonable, important actions and you never doubt or wonder why the people are doing what they do. You cannot go wrong with a Night Soldier book. 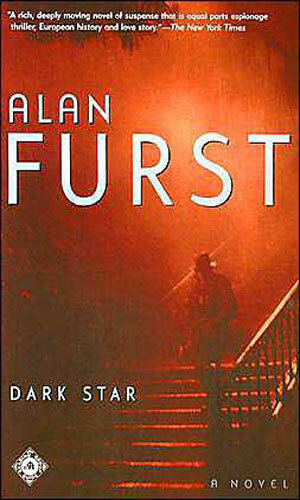 Glad u added Furst's work. NIGHT SOLDIERS is brilliant. Glum but brilliant. 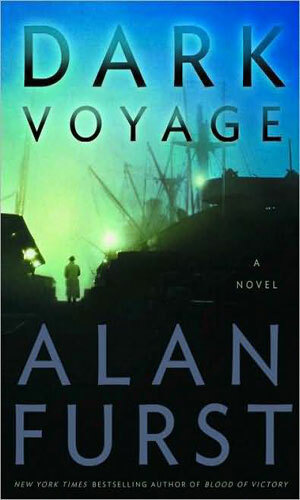 DARK VOYAGE was epic. Not a traditional yarn of intrigue and, thus, took some getting used to. But the books are first rate and feel bloody authentic.